Listed below are homes for sale in Wexford Village, a neighborhood located in Far West Madison, WI. Listings are updated multiple times a day from the SCWMLS. For more information about any of these Wexford Village homes for sale, just click the "Request More Information" button when viewing the details of a property. We can provide you with disclosures, past sales history, dates and prices of homes recently sold nearby in Madison, and more. And, for your convenience, register for a free account to automatically receive email alerts whenever new Wexford Village listings come on the market that match your search criteria. 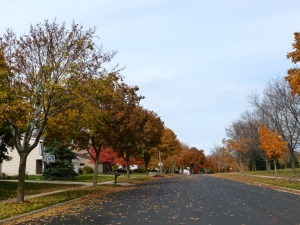 Spacious wooded lots and well-kept greenways are the hallmarks of Wexford Village on Madison’s far west side. Neighborhood pride shines in meticulously landscaped lawns, resurfaced bike paths and the pristine Wexford Prairie Recreational Area. But it’s not all about aesthetics. Neighbors here organize junior sports leagues, a babysitting co-op and a variety of holiday parties, parades and social functions throughout the year. Wexford Park covers 20 acres at the heart of the community and offers athletic fields, ice skating and tennis courts. And with dozens of acres of parks and green space close by, neighbors have plenty of opportunities to connect with nature as they explore the west side of Madison and Middleton. Wexford Village successfully strikes a balance between single-family homes and condominiums. Single-family homes are arranged on cul-de-sacs that are divided by greenways, which lend privacy and natural appeal to the area. Wexford Village also offers variety in the sizes and architectural features of its single-family homes. Most of them were built in the early 1990s. The neighborhood’s western and southern borders are comprised of mixed-use development that includes light commercial areas and condominiums. Greenways that run through Wexford Village make the entire neighborhood accessible by foot or bike. That means friendly neighbors and local dining and shopping are always a short walk away. 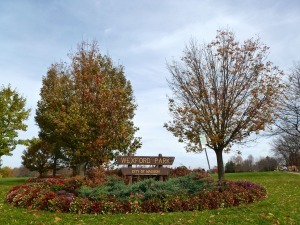 Hundreds of acres of green space surround Wexford Village. Stricker’s Pond Conservation Park is located on Old Middleton Road just north of the community. Owen Conservation Park off Old Sauk Road unfolds over nearly 100 acres of rolling bluffs and prairieland, and Walnut Grove Park adds nearly 20 acres of green space and athletic fields for neighbors to enjoy along Northwest Field Road. Middleton is less than three miles from Wexford Village, and Downtown Madison is less than eight miles away. Closer to home, West Towne Mall and popular commercial areas along Gammon Road, Mineral Point Road and Old Sauk Road are less than three miles from Wexford Village. The Highpoint Swim Club and Alicia Ashman Branch of Madison Public Library System are both located on Old Sauk Road. Abundant access to nature and ready access to dozens upon dozens of acres of Madison’s natural areas makes this quiet west side neighborhood a popular choice for residents of all ages. For information about finding a home in the Wexford Village neighborhood or to sell your Wexford Village home, contact our team for a better real estate experience. 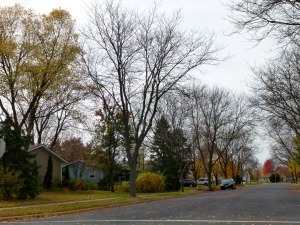 Wexford Village neighborhood is located on the Far West Side of Madison in MLS area Madison – W05. Below are more homes for sale in that area.